A READERS' FAVORITE 2018 AWARD WINNING BOOK. The bestselling author of I PROMISED NOT TO TELL: Raising a transgender child invites you on a fascinating exploration to discover the truth in What Does God Think? Transgender People and The Bible. Presented with the idea that her transgender child was "not of God", Cheryl B. Evans set out to see what God really thinks about transgender people. What does the Bible say? Why is there such a big divide among Christians? Why do some Christians insist there is no such thing as a transgender person while other Christians accept and affirm transgender people? And most importantly, what does God think? This LGBT Christian book takes the reader on a journey that is educational and highly revealing. What Does God Think? is an invitation to examine the scriptures and give consideration to the social, cultural, and scientific facts that impact what we believe, and the way we internally feel about transgender people. Cheryl B. Evans handles this controversial topic with grace and compassion for people on both sides of this debate. If you have been struggling to understand how someone can be Christian and still accept and affirm transgender people then this book is for you. If you know someone who is struggling to accept a loved one who has come out as trans, this would be the perfect book to recommend. Are you ready to have this conversation? Opinions vary widely on the topic of gender, and gender identity, and when you mix religion into the conversation it gets even more interesting. 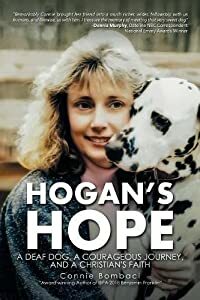 In this non-fiction book, Evans discusses these important social issues in a calm and nonthreatening way. 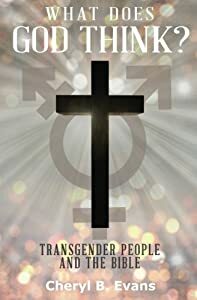 Making this transgender affirming book an excellent resource for both Christians and non-Christians. Grab your copy now and let's talk! Jesus & Co. presents a radically different way to bring Jesus and the Gospels to our work lives. Learn how to not only survive, but thrive while swimming with sharks that surround us each day in the workplace. 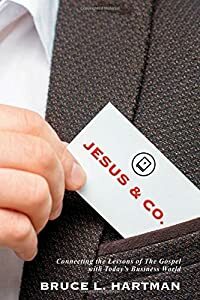 A very hopeful and encouraging book written by a former Fortune 500 “C” level executive who completed seven years of theological education to receive a Doctorate degree in Ministry, Jesus & Co. presents the blending of both these worlds in an extraordinarily practical way to help other working Christians. This book is a must read for both clergy and faithful Christians, and has received 5 star reviews from its readers on Amazon. Riley Ellison is in love.World-famous Christian leader and bestselling author, Riley Ellison loves like a lit sparkler. His genuine affection for even the most wretched burns with scorching heat, brilliant colors and frenzied energy. It's no wonder God chose him to orchestrate His miracle.Pastor Ellison invites the press to join him in exactly two weeks, at which time he will tell Mead Mountain to move on live television, and in accordance with the promises revealed in Scripture, he claims it will move.The lines are drawn and everyone must choose a side. If the mountain moves at Ellison’s command, no one could reasonably continue to doubt God’s existence, and America will enter into the next Great Awakening. If it does not move, pews will be emptied, believers will be shamed into silence, and the faithful will be made a laughingstock worldwide.In the meantime, Ellison continues to do what he always does: attempt to shine Christ's joy into a dark and broken world. He encounters a gun-toting drunk, a God-hating celebrity, and a desperate woman trying to save the life of her son. Will Ellison's relentless pursuit to emulate Jesus act as a transforming force in the lives around him, or will the horrendous pain of this world cause Riley's spark to finally burn out? 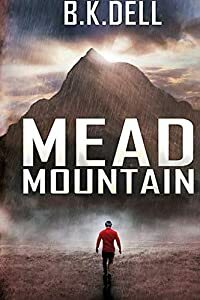 And will any of it be enough to overcome the biases of the reporter assigned to his story?It will take a miracle.Mead Mountain is unlike any novel you've ever read. It's when we've observed deep sorrow, that we can truly triumph in joy. When we understand our brokenness, then we can properly value His sacrifice. Trust me, if you knew the hopelessness He delivered me from, then you'd understand the intensity of my worship! Mead Mountain is intense. The light is always brightest with the first step out of darkness. Mead Mountain will make you squint, make you cry, and leave you breathless. Tired of wondering when the onslaught of battles you face daily will ease up? Do you feel as soon as you overcome one hurdle, another one is just up ahead? God did not leave you on this side of Eden to succumb to the worries and fears our broken world throws at you daily. He provides specific gear to battle through these storms while still feeling unimaginable joy. The enemy wants you to believe this is not possible, but Jesus makes everything possible. You must decide to either wear Christ's protection or allow the enemy an unobstructed path to your heart. 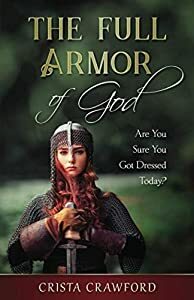 Pair with the Workbook Companion for The Full Armor of God and enter into a deeper study of how the enemy pursues you, tricks you, and taunts you away from your Father's protection. Reclaim the life God intended for you since the beginning of time. Joe can only helplessly watch his beautiful wife, Brooke, lose her fight against breast cancer. Brooke has unbreakable faith toward God—despite her current circumstances. Joe, on the other hand, has only entertained a belief in God in order to honor his love for his wife. Not only must he cope with the reality of losing his wife, but his thoughts are constantly focused on how in the world he is going to raise their ten-month old daughter, Sara, alone. He faces grief, anger, and betrayal—which only seems to fuel his mistrust of faith. 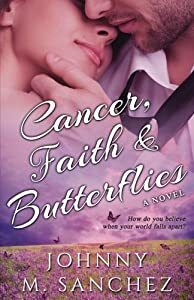 When pushed to the very end of his limits—as his world comes crashing down around him—Joe must decide how far he is willing to fall before he lets God catch him. Paul Fischer's a plain man with big dreams and an even bigger problem—gaining his uncle's approval. He's just settled on how to accomplish that while maintaining loyalty to his family and heritage, when a beautiful Englischer shows up threatening to defeat all his efforts. A romantic relationship with Rachel is forbidden and he soon discovers it will take more than simply guarding his heart. The more time he spends with her, the more he wants to overcome every obstacle that's keeping them apart. Rachel Adam's home was once filled with happiness. It now occupies only painful memories. Even still, she never dreamed she'd have to leave Florida. She's determined to return, until an unlikely attraction brightens her outlook. Drawn to Paul like a butterfly to a flower, she begins to imagine a future in Paradise. A future very different from her life-long plans. A future only Paul has the power to rewrite ... unless a devious plot destroys it first. 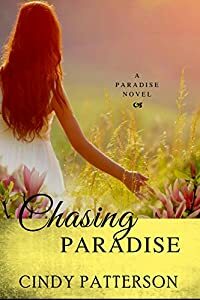 Chasing Paradise is a story rich in emotion that beautifully portrays love and loss and confronts the difficult question—How far would you go to protect the one you love? Award winning Angel on Assignment takes readers through the first Christmas story and presents the ways guardian angels watch over boys and girls today. 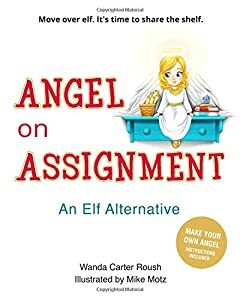 With beautiful illustrations and rhyming verse, Angel on Assignment offers a Christian alternative to the elf encouraging children to act as angels in disguise for friends who might need help. That remind us of angels' wings. At the end of the book you'll find detailed instructions for making your own angel as a reminder that angels are among us. Share your angel on the book's Facebook page. See how many angels your child can find--some are hiding! Fun for the whole family and perfect for ages 3, 4, 5, 6, 7, 8, 9, 10 on up to 99. Ignore God or explore God? What should we do? Cruising into retirement after years of chasing spies and bad guys, NCIS Special Agent Dan Lucas meets his match. Trapped in an airport with atheist professor Ben Chernick during a deadly storm, Dan is forced to reveal a secret. He believes in God but can he defend his faith? Sensing blood in the water, Ben tries to destroy Dan's beliefs, only to find out that Dan is a walking case file full of evidence in support of Christianity. Sparks fly and people die. One man stands tall and one crumbles - literally. Who is hiding some dark secrets? Who is trying to pick up the pieces of their shattered life? 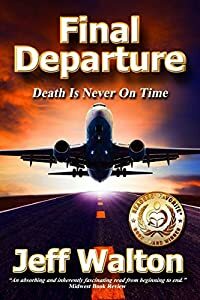 Final Departure: Death is never on time, is a book for people seeking answers. What will really happen when you die? Does God really exist? Is there really a heaven and a hell? Does secular science have all the answers? Find the answers you've been looking for in this multiple-award-winning novel today! Adam Barfield was an aloof neuroscientist teaching at U.C. Berkeley, California. Friendless, childless, he was known only for the clinical detachment lent both by his profession and progressive Asperger’s. So no one could believe their eyes when nine months after a quiet Italian sabbatical, the secretive Dr. Barfield returned home with a baby boy. Adam abruptly unveiled groundbreaking research, patenting a miraculous immune serum that revolutionized modern medicine itself. 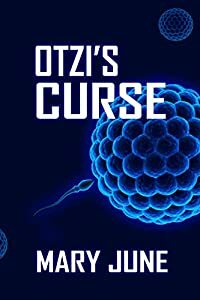 The scientific community was at his fingertips, yet marveled at Adam’s refusal to reveal the source of these godsend cures. Presidents and World Health Organizations alike worked night and day to unravel the mystery, hoping to produce worldwide applications of his miracle cure.